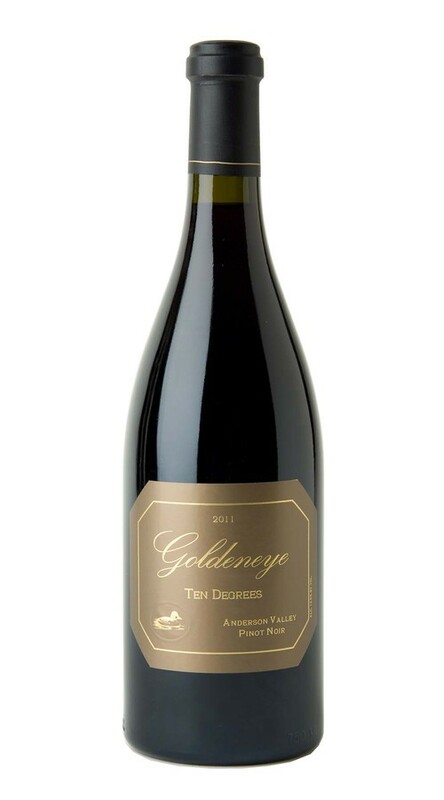 Our 2011 Ten Degrees is a wine with a profound sense of place, capturing both the diversity and the rich, rustic depth that define the Anderson Valley. As it languidly unfurls, it eloquently reveals its pedigree. From our Gowan Creek Vineyard, it draws a plush fruit core of Santa Rosa plum and blackberry, alongside layers of sandalwood, dark chocolate and clove. Confluence Vineyard contributes length and breadth with fine, beautifully textured tannins and underscoring notes of fresh-picked red cherries, wet stone, pennyroyal and cinnamon. Rounding out the blend, our Split Rail Vineyard brings an almost architectural structure to the wine, as well as weight, body and notes of fennel, leather and candied spice.